The city’s average house price is above €700,000. A four-storey mixed-use building is under construction adjacent to an older, single-family home in Seattle. SEATTLE’S BOOMING TECH industry has brought a massive influx of new residents with big wallets to the city. But an ensuing housing crunch has led to skyrocketing rents and home prices that have strained middle- and working-class families and deepened the city’s crisis of homelessness. Backlash was swift from those worried increased heights and density will change the character of single-family neighbourhoods that dominate this picturesque Northwest city. As the city has grown, “there’s a real sense of some folks winning and some folks losing as part of that growth,” said Seattle Councilmember Rob Johnson, an urban planner who is sponsoring the housing proposal. The city subsidises housing for the poorest, and the market is expanding for top-income brackets. But little has been done for those in the middle who already spend too much of their wages on rent, Johnson said. Buildings three to four stories high would be allowed on his street, now dotted with bungalows and stately Craftsman homes. “You can add density without adverse impacts to parking, light, gardens, yard space,” said Flood, who noted there are areas in the city already zoned for denser buildings. The proposal would allow multi-unit apartments right next to a smaller single-family home, creating a disparity in size and scale, he added. 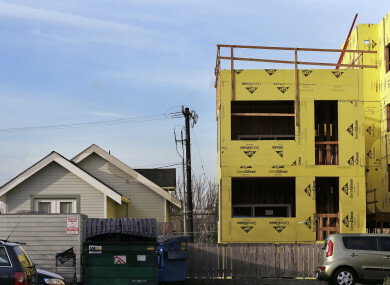 Email “Seattle's housing crisis is making it look to taller and denser homes”. Feedback on “Seattle's housing crisis is making it look to taller and denser homes”.